ATOS 5X | Mentel Co.,Ltd. system for tool, press and body shops. times of 0.2 seconds are reached. 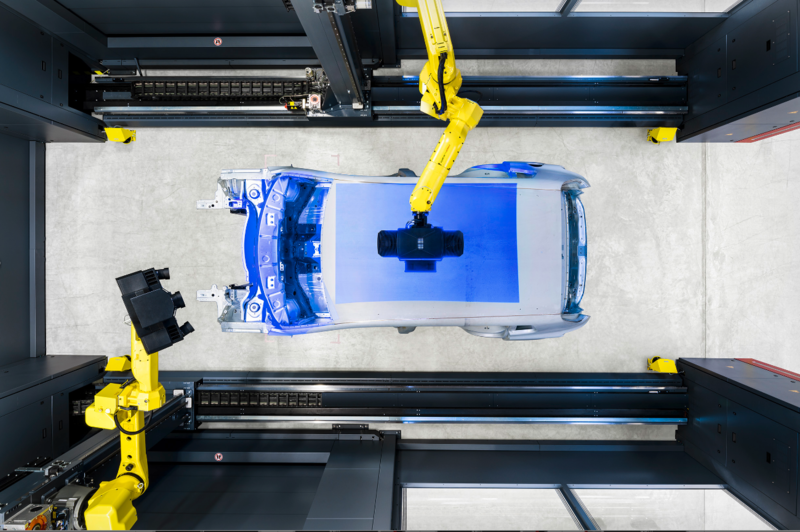 The automated measurement of a complete car body both outside and inside typically takes 30 minutes with ATOS 5X – including the precise coverage of complex geometries. The system enables the highest possible throughput, with the main application areas in Meisterbock and Cubing, inspection of complete vehicles and quality control in body manufacturing.